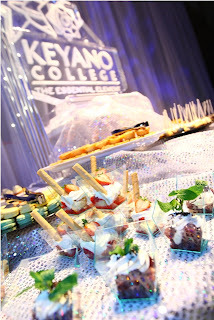 There are an increasing number of black-tie celebrations in our growing northern community, but there is only one that is universally understood to be premiere event in town, and that is the Keyano College Foundation Gala. It is tonight. As the light dim and we fall into early evening, the final buttons will be fastened, zippers languidly drawn up, and the finishing beauty touches applied before setting off for the diamond anniversary edition of Gala. 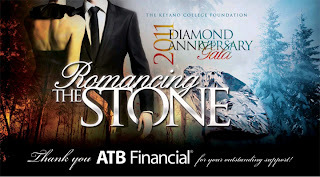 Around twelve hundred are expected for Romancing the Stone, the annual friend and fundraiser in support of all things Keyano: students, programs, and capital infrastructure. My wife starting thinking about this "date night" months ago and had all the necessary appointments made weeks in advance - hair style, pedicure and myriad other pampering services that all build anticipation and excitement. Being the guy in the relationship, my preparation tasks are a little easier, though no less expensive. I bought a tuxedo in deference to my recent weight loss and the recognition that in my role I need to go to a lot of these fancy events. But truly, it was attendance at Gala that inspired the action, and the spend. Every year I wonder about the economic trickle down effect of dressing over a thousand people in their best and sending them out on the town. 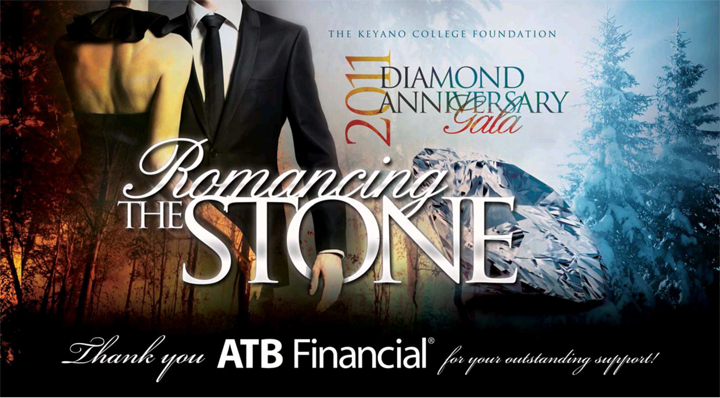 We see the incredible largess that is offered over to the Keyano Foundation - expected to blow the previous record out of the water tonight - but think about the benefits across the community: purchases of dresses, shoes, suits, tux rentals, jewelry, make-up, beauty services, dry-cleaning, etc. Black-tie events of this scale are good for business, end of story. 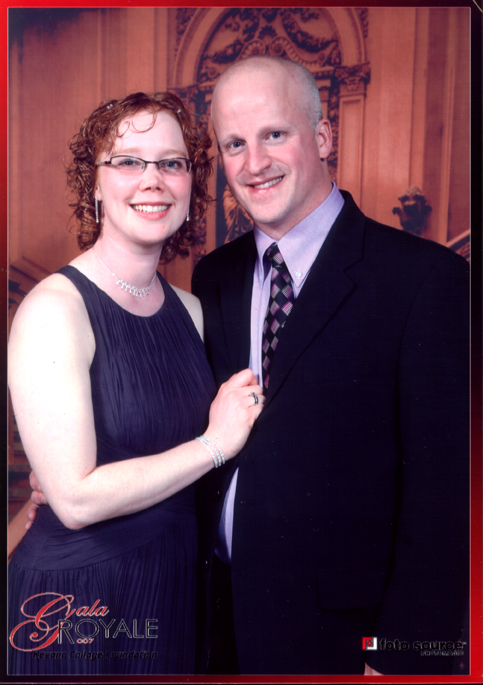 "This is the 30th anniversary of Gala, which will be nothing like the 25th anniversary edition," according to Foundation Board Chair Dale Unruh. The comment inspired a round of giggles and guffaws at the pre-event Diamond Sponsor reception last night, as those of us who were there in 2006 had some disturbing flashbacks of an entertainment choice that fell somewhat flat. 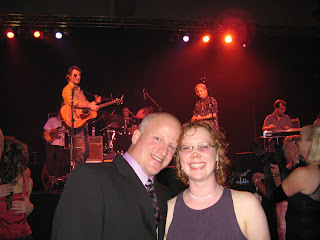 The Gala that followed in our inner circle became known as "the apology" featuring Blue Rodeo and the move into the Syncrude Sport & Wellness Centre. 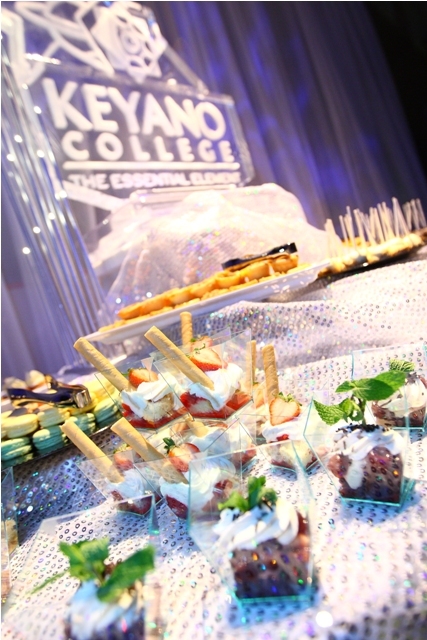 Since then, the Foundation staff and their many volunteers on the Gala committee have continued to massage the set-up and the program to create the ultimate evening of networking, dancing and unparalleled fun. And each year they manage to step it up a few notches, adding in subtle nuances, gentle touches, and evocative flourishes. Gala successfully taps into the emotion that inspires the action. Guests don't hesitate to throw down $250 per ticket or thousands of dollars to become a sponsor because the event provides an emotional experience that is talked about, shared, and remembered for years. The food is succulent and abundant, the atmosphere is electric, and excitement hovers in the air like a lingering sweet scent. And even though the largest party crowd of the year has gathered, it never feels too crowded, nor too sparse. Gala overflows with a sensation of perfection, that all is right in the world, and that for this night, cares and worries get set aside, replaced by overwhelming satisfaction.